This weeks classic also comes from two german brothers. Its not often that your first release also becomes your biggest success. The original track was released back in 1999 but this remix is abit newer. Actually, the youngest classic so far. The track i’m talking about is Fragma – Toca’s Miracle (Inpetto 2008 Remix). Fragma is brothers Dirk and Marco Duderstadt together with monster producer Ramon Zenker. Ramon Zenker is well known name in musical productions as he’s been apart of some cool projects like Bellini, Fragma, Interactive, Hardfloor, Mega’Lo Mania, Paffendorf, STFU & Tom Tom just to name a few. He has also done remixes for the likes of Mike Oldfield, Paul van Dyk, The Shamen, Scooter, Mylene Farmer, Jam & Spoon, Depeche Mode, Yello & New Order. This article will focus more on the Duderstadt-brothers though, known under the Fragma-name aswell as Inpetto and Duderstadt. Dirk & Marco Duderstads first release ever was the now-epic Fragma – Toca Me. The track did well in the charts and topped several charts worldwide including the no 11 position on the UK Single Charts. But then something wierd happened. Around this time, it was very popular to do mashups i.e. taking the backingtrack of one track and re-arranging it with new vocals from a different track. A DJ named DJ Vimto did just that and took Toca Me and put on the vocals of gospel-singer Coco Star’s 1997 hit single I Need A Miracle (written by the legendary producers Rob Davis & Victor Imbres) and named it Toca’s Miracle. The original bootleg was supported by legendary DJ’s Pete Tong and Judge Jules. The track did so well that Fragma’s Label, Positiva decided to release it with re-recorded vocals by Coco which was possible due to both artists were under the same label. The track, released in April 2000 became a monster all over the world and went straight to number 1 in the UK Singles Chart as well as in most of the worlds dance charts. 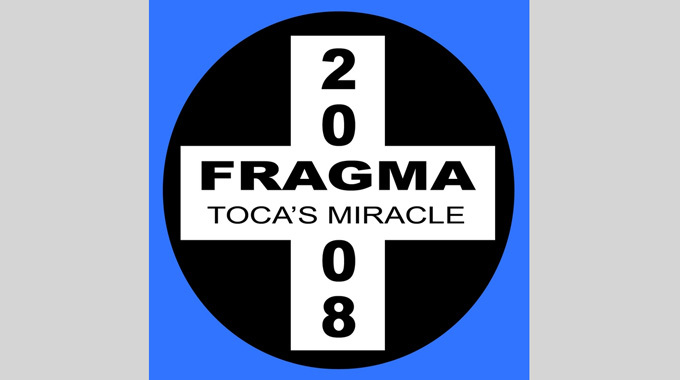 With the success of Toca Me/Toca’s Miracle, Fragma became a name known all over the world. In fact, the original version was the 7th best selling single of 2000 in the UK and was promoted Worldwide in live sets by official vocalist Coco Star. The second single, Everytime You Need Me (with singer Maria Rubia) also did well in the charts and spiked the UK Singles Chart at no 3. The third single, You Are Alive (with singer Damae) also did well and ranked no 4 in the UK Charts. All three singles were featured on the 2001 album, Toca which landed the top 20-spot in Scandinavia and the top 40-spot in the UK. At the same time as the Fragma album and hit singles, the brothers decided to work on a side-project, producing under the name Duderstadt. The first releases were remixes of other artists tracks. In 2002, Duderstadt also set up their own studio called Evergreen-Terrace and also started working on the second Fragma album, Embrace which spawned the singles Say That You’re Here, Embrace Me, Man In The Moon and Time And Time Again. My favourite of these is the 2003 single Man In The Moon which is a remake of one of my biggest personal favourite-tracks, Energy 52 – Cafe Del Mar, but with vocals by Damae. The track isn’t a good as the original Cafe Del Mar-track but still worth noticing. The release was also known as Mar In The Moon (which implies on the Cafe Del Mar-connection). Between 2003 and 2006, the brothers mostly worked under the Duderstadt-moniker. First single, Sunrise was released in 2003 and followed by Mahananda in 2005. 2006 saw the release of third Duderstadt-single, Muhanjala. The same year also saw a new Fragma-release with singer Kirsty Hawkshaw, called Radio Waves. This was also the year that they changed record label to the fast-growing german imprint Afterglow Records. The new tracks and the move to the label also gave Duderstadt major DJ support by the likes of Paul Van Dyk, Armin & Ferry Corsten. The fourth Duderstadt single, Smile (with singer Anita Kelsey) became a big club hit and was named both the Tune of the Week & Future Favourite on Armin van Buuren’s A State Of Trance-radio show. It also was voted Web Vote Winner on Above & Beyond’s Trance Around The World-radio show, The single was followed by Beatitude (with singer Kirsty Hawkshaw) which also got major DJ-support all over the world. Since 2007, mosr effort has been put on remixes. And man, have they released some quality stuff. If I had to pick one favourite of the Duderstadt Remixes, I’d have to choose Mike Shiver & Aruna – Everywhere You Are (Duderstadt Remix). Released in 2010 and already a classic in my mind! 2008 saw Duderstadt collaborating with Store N Forward for the single Broken. I especially love the Nitrous Oxide Remix which is a pure uplifting monster. The 2010 single Stranded In NYC was a sweet progressive track in the style of the recent Duderstadt-remixes. In 2011, Duderstadt collaborated with legend Nic Chagall (of Cosmic Gate fame) and singer Relyk for Alone With You. A really sweet vocal track imho. The same year also saw the singles Yanooa and Painted Red (with singer Hannah Ray). The latter, another sweet progressive vocal track. 2008 saw the re-release of Toca Me/Toca’s Miracle with fresh remixes from the brothers-side project, Inpetto aswell as remixes from Richard Durand. Again, the track did well in the charts and a new Video for the single was also produced. The new single Memory was also released the same year, Memory sounds more like an Impetto-track as its sound is based on the re-release of Toca Me/Toca’s Miracle. Since Memory, most releases has been fresh versions of old singles. Everytime You Need Me got a 2011 re-release, Even Tocas Miracle got a 2012 re-release. 2012 has also seen 2 new singles so far, Thousand Times (with singer Damae) and the newest track, Where Do We Go (with singer Damae). I can’t say that I like the new Fragma-sound, it’s way too commercial for me. But I definately love the Duderstadt-sound, especially from 2008 and onwards. Let’s hope that they will continue on both projects side by side. Atleast so I can get my daily dose of quality Duderstadt-remixes for a while longer.